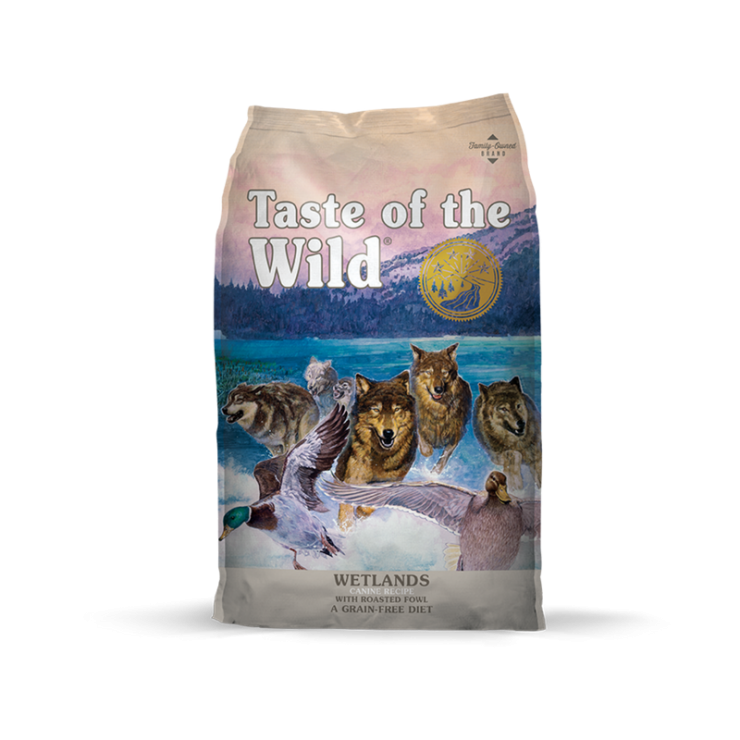 With 32% protein, the Taste of the Wild Wetlands Canine Recipe formula is packed with highly digestible energy from duck, quail and turkey, along with nutrient-packed vegetables, legumes and fruits. This unique combination of fowl gives dogs the taste of wild game they can’t resist with the balanced nutrition nature intended. If you have questions about Taste of the Wild Wetlands Canine Recipe or any of our other products, give us a call or stop by one of our store locations. Here at Cherokee Feed & Seed, we are happy to help you choose the right feed for your pup!